A widespread heat wave is expanding across large parts of the country and has some parts of the nation experiencing triple-digit temperatures for the weekend leading up to the 4th of July holiday. An estimated 120 million Americans are under some form of heat warning or advisory, stretching from Illinois, Wisconsin, Iowa, Kansas and Arkansas to New York and parts of New England. The heat index in Washington was forecast to reach over 100 degrees. 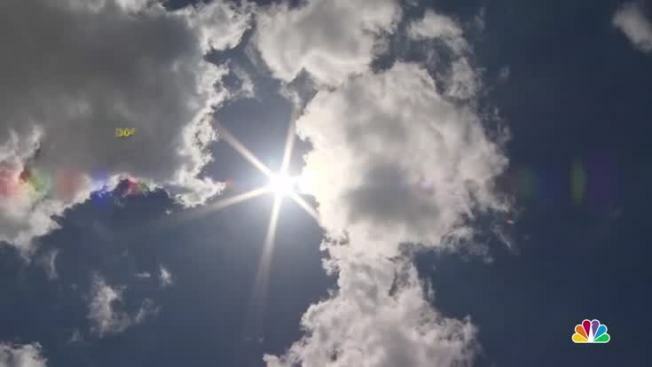 Even places where temperatures don't quite reach 100 degrees will still feel like they did, according to Dave Samuel, senior meteorologist for AccuWeather. It was so hot in Chicago Saturday that water was sprayed onto the Michigan Avenue Bridge to cool it down.